After I took my final final last Tuesday (seriously, where does the time GO?) Chris wanted to take me out to celebrate all my hard work. He didn’t have to twist my arm too hard to get me to agree. 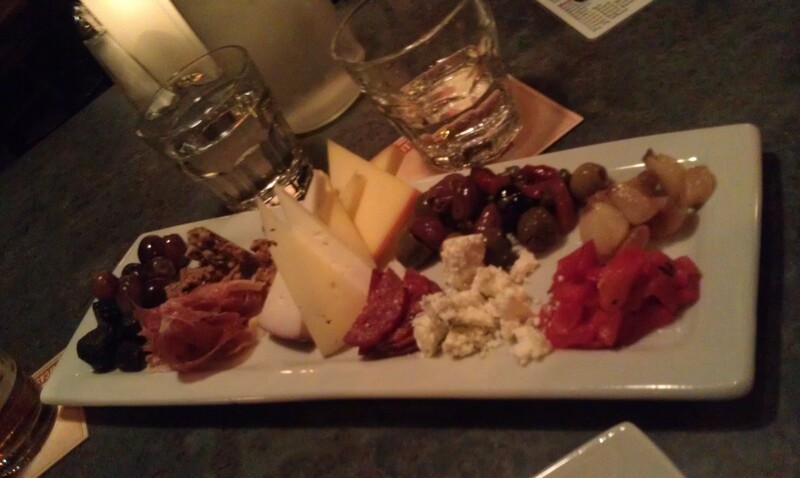 I decided we should try out Elements Tapas Bar in downtown Medford. I have wanted to try it out for a couple of years now, and we almost went in a few weeks ago but I was dressed ultra casual (grey hoodie, jeans and tennis shoes) and didn’t want to be uncomfortable in there. I wanted to go back dressed and prepared for a nice evening. So I cleaned myself up Tuesday night and we headed out. I didn’t take any interior pictures because the lighting was quite dim, but it is a smallish bar, with a handful of high-top tables, booths along the windows, and then a couple of “cushy” chairs and coffee table seats. There is a very cool painting near the front, along with a pretty bubble water feature, and then really cool, the ceiling has “stars” that light up and twinkle. The whole atmosphere created a nice ambiance. The staff was very laid back, almost too laid back, almost. There was no pressure to hurry and decide, they left the menu with us in case we wanted anything more or to just keep looking. Elements has a full bar, and a selection of wines. Because it is a Spanish influence establishment many of the wines, even if they are local, represent the Spanish style; there were several tempranillo or tempranillo blends on the menu. I ended up ordering a glass of Kriselle Sellers Cabernet Sauvignon which was quite good, but it was one of those wines that changed SO much from the first sip throughout the meal. Still good though. Actually, lets back up. 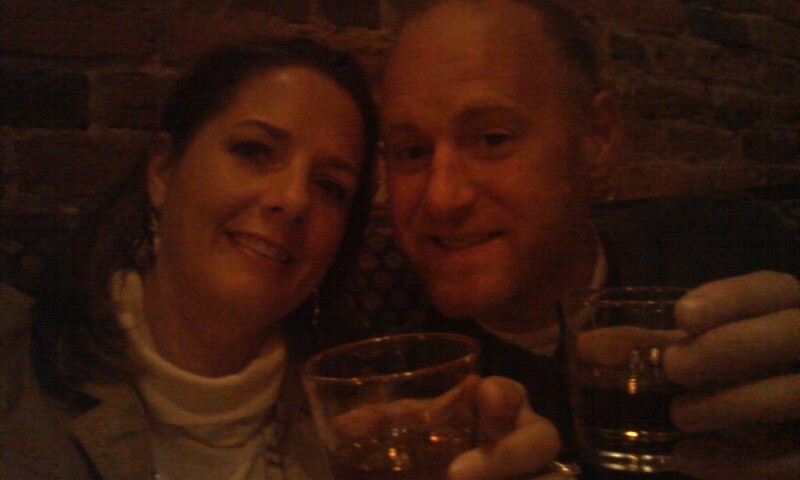 We were celebrating so we decided to order a shot. We never order shots! We each got a round of Fireball Cinnamon Whiskey. Have you tried this stuff? NO?? Do it. It tastes like melted cinnamon bears. SO delicious! Yeah, it was dark in there. After we enjoyed our Fireball, we ordered three tapas plates. Tapas normally means “small plates,” so typically at a tapas bar the plates would have small portions, like an appetizer. The server told us though that their portions were a bit larger (which was good, otherwise the prices would have seemed a bit steep). He suggested we start with three and add more if we felt hungry. This was good advice. Three plates was perfect. We ordered a meat and cheese appetizer to start with. From left to right (front to back): figs, grapes, pancetta, a pecan “brittle,” four different types of cheese, chorizo, olives, blue cheese, and next to that red peppers and finally roasted garlic cloves. Everything was delicious. We nearly licked the plate clean! Next up was an order of pork ribs. 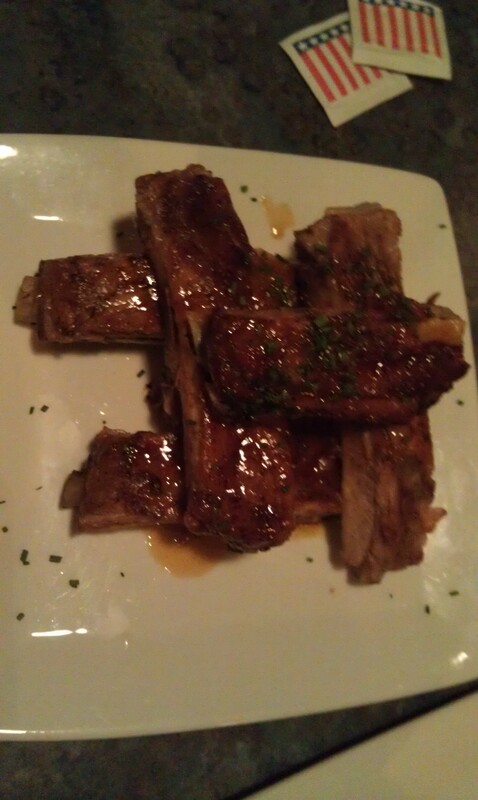 The ribs had a slightly sweet sauce on them, and they were literally falling off the bone delicious. They were not spicy or fatty. Just really really good. Third plate was the roasted duck. 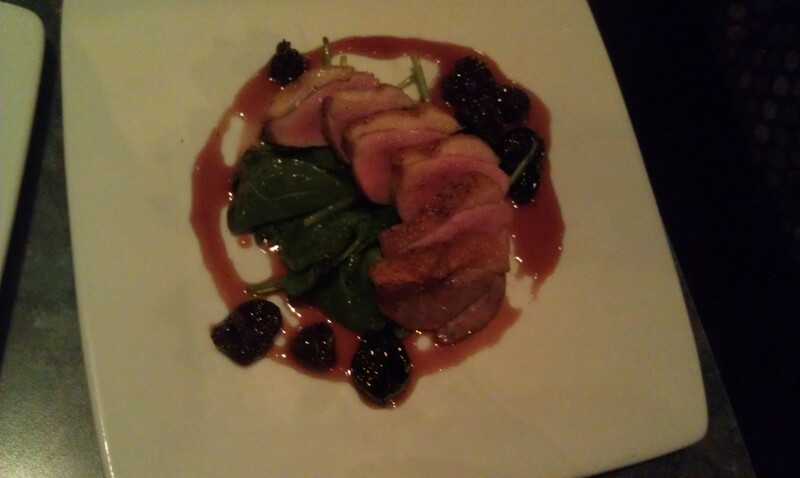 The duck was roasted medium/medium-rare and served atop some slightly wilted baby spinach and some pickled (!) raisins, drizzled with another semi-sweet sauce. Again, so delicious! Not a single morsel of food was left from any of the three plates we ordered, and as you can see, the portions are pretty reasonable. There are lots of other options on the menu (including things that are not meat!) such as brussels sprouts, a manchego cheese dish, salads, soups, seafood and more. The house special, though, is a made-to-order paella. The menu offers four different versions and claims they serve 3-4 people. They take about 40 minutes to make and come out in a cool paella pan. Several other tables ordered the paella, so Chris and I are for sure going to try that next time. Elements does have a few desserts, but nothing that was really sounding wonderful to us, so we opted instead for an old standby. 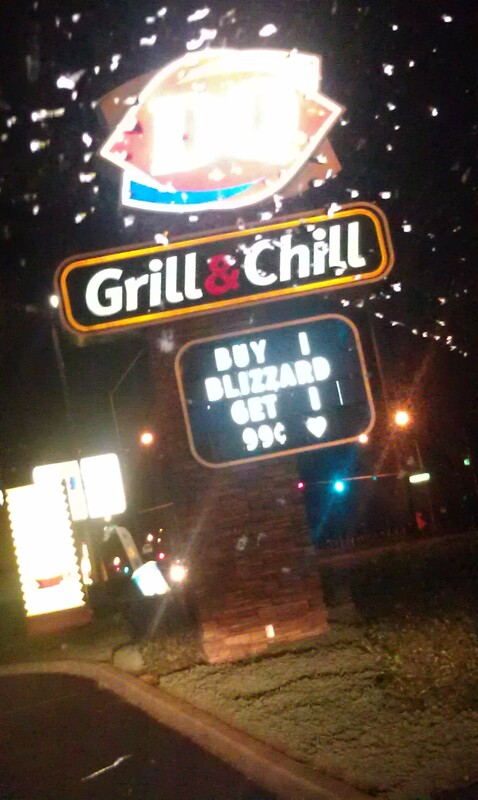 I do love me a Dairy Queen blizzard. 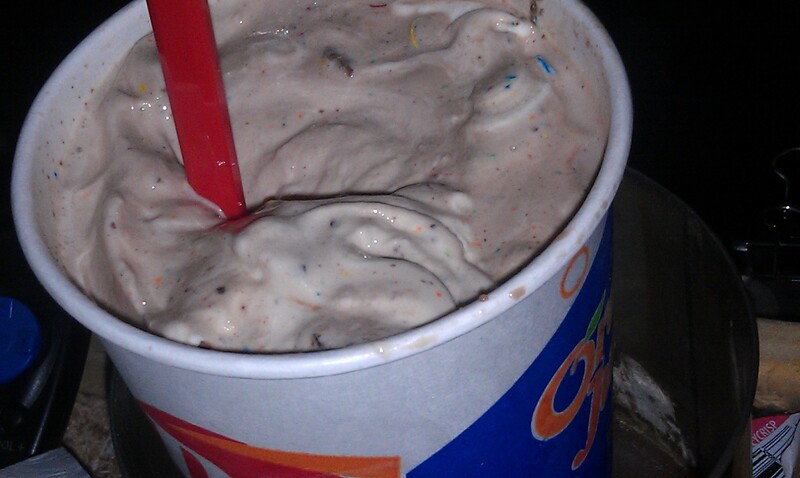 I got my favorite, the M&M. I actually told Chris to order me a small and he ordered me a medium, hoping I wouldn’t eat it all and give the rest to him. Psh! Riiight. Like that is ever gonna happen. I ate and enjoyed every last drop. 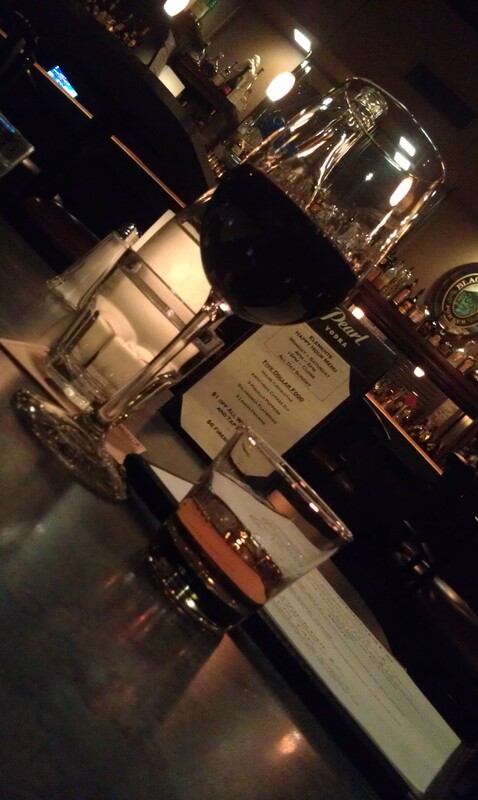 Oh boy, we had some lovely beverages, some delicious food at a fun new place, and an old standby for dessert. It was truly a lovely way to celebrate 3 long, hard years of school. 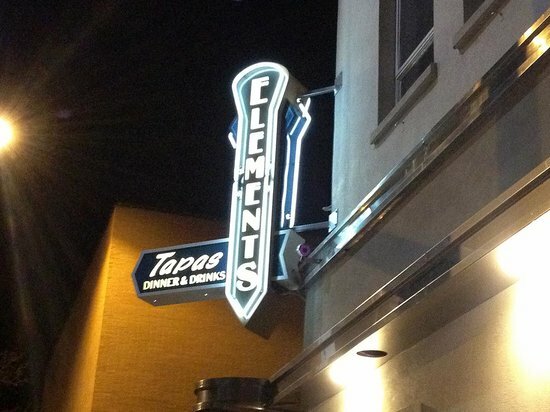 Elements Tapas Bar was a great place to spend a quiet celebration, and we will definitely be going back! Have you ever gone to a Tapas Bar or restaurant? What did you think? 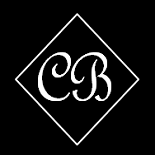 This entry was posted on March 23, 2013 by Corrie Beebe in food, reviews, school.